Holy balls. So good. So good. So good. After spending a small chunk of change on paleo-friendly Larabars over the last few weeks, I thought... hey, I should make my own homemade Larabars. They are incredibly simple, after all. This took maybe 10 minutes and there's no cooking. I made balls instead of bars because they look and sound sexier when they are called "truffles." AMIRITE? Put the cashews, dates, coconut and salt in the food processor and pulverize until the mixture becomes sticky when you press it together. 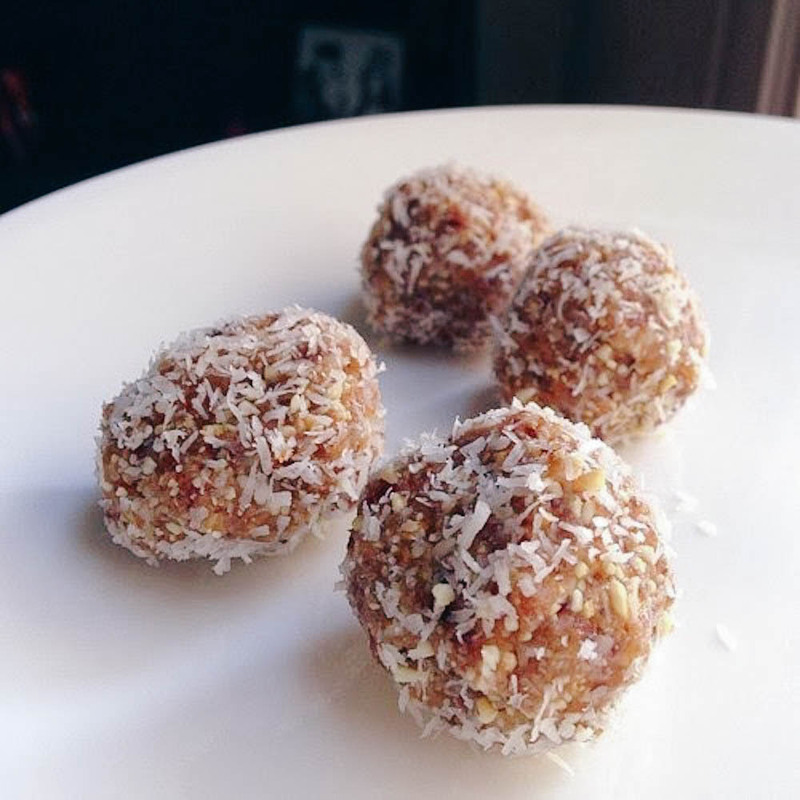 Roll in coconut and eat.